Thing 2 RPG September Update | Mac Wants The What? The majority of the artwork for the ship story/prequel mode is now complete. 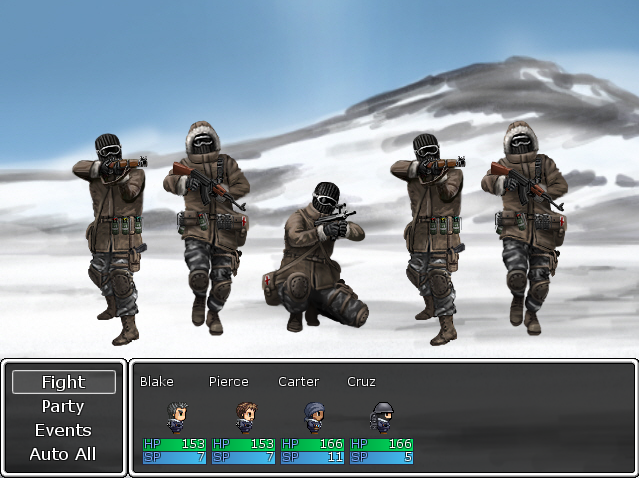 All that remains is the battle backgrounds and some sprite changes. Voice acting is nearly complete! I just have to chase up a few people and find replacements for 4 drop outs. A lot of balancing is going on in the game and the enemy is well prepared for you now, they’ve been vastly improved across the board and the game difficulty has increased quite a bit. I play the game on normal and am trying to find a balance that I like, so far the death/infection ratio is somewhat punishing but fair for what I expect of normal difficulty. Your troops better be prepared, only the strongest will survive. Enemies have some new skills and abilities. They also have more access to grenades and medikits so let’s hope you make them critical shots count. 1) Enemy Surprise spawns; In some areas there is a random chance that things will spawn. It’s not so common that it’s annoying or over done but it can make gameplay a bit more interesting. 2) Enemy Reinforcements; US Captains can call for backup in battle and in some parts of the game battles will “chain” so you won’t get breaks in between them. 3) Enemy Assaults; Sometimes and at key plot points the enemy will ambush you with 3 waves of “chained” battles so you better make sure you are prepared and make use of the “party” command in battle. 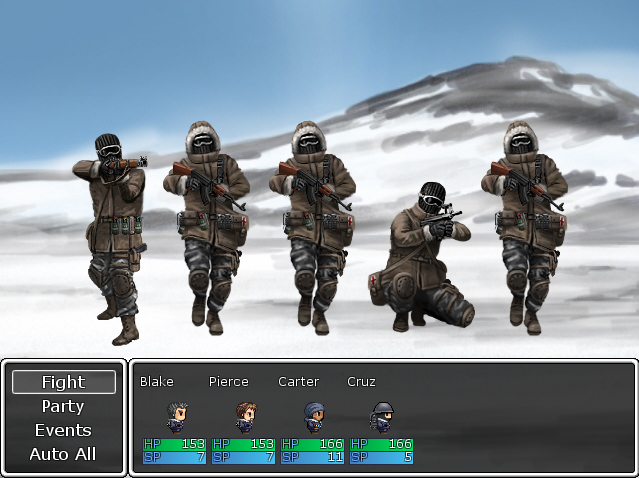 I’ve added new weapons to the game such as bullpup rifles, the AutoMag, RPK-74 and some other weapons. I’ve also added lots of new relic weapons which you will find useful, some of these are quite obscure like the MARS pistol for instance. There is also a Plasma Revolver because why not? I’ve added even more weapon mods to the v2 weapon mod system, there’s a lot of interesting combinations. Crafting has been looked at, the engineer crafting is improved a lot and the medic/doctor has new options now. Scientists can also craft stims with “Scrap Meds” which are also used by the medic/doctor. The Save Menu has been updated to show you what features you have unlocked. I couldn’t fit the survival rewards or Blake’s notebook progress on there but they are not as important. I mentioned before in the comments that enemies now gain “traits” in battle, there is one for human soldiers that gives them a critical bonus which has given me some bitter defeats. Attempts to improve the way Auto-battle handles itself haven’t been very good, to compensate a script by HIME now remembers your last actions so you can essentially spam attack more efficiently. It also improves the navigation in combat. 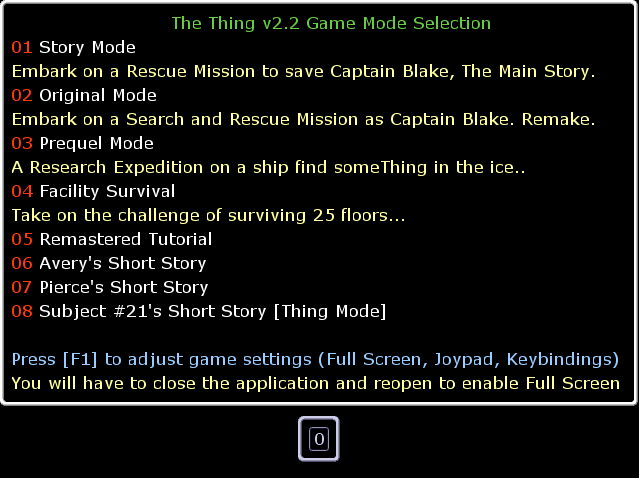 I’ve added a whole bunch of extra side missions and content to the games story mode with new locations and characters. The game menu has been “cleaned up” (Below) and is easier to navigate. I am currently building the survival mode, I went through a few different ideas for this but have ultimately settled on a facility with 25 floors to clear (having varied objectives for floors) I’ll let you know how this turns out but every 5 floors you complete unlocks a new weapon to be used in the game. It should be finished by the end of this month. Then there is the matter of several new sprite updates and minor bits of artwork which Jose should have done by October/November. Other than updating the game guide/walk-through (which I can do post-release) there is just the inclusion of MacReady and his little choose your own adventure story. 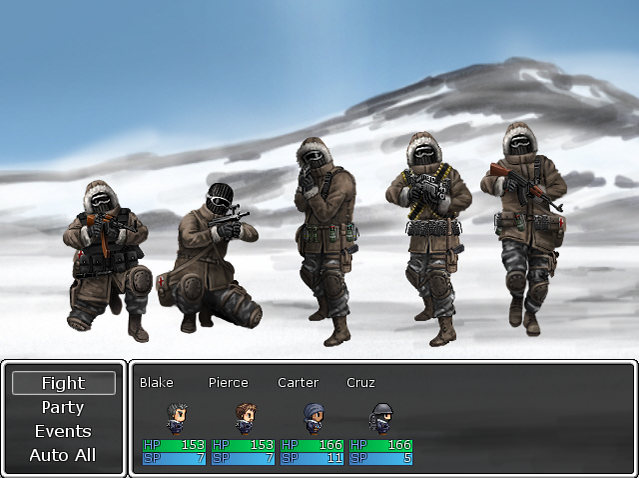 I hope to start on this in October but it includes a lot of additional sprite-work for Jose to do and that takes time. Then there is voice acting which I hope should be done by October. I hope to release a promo video for v2 content, mainly prequel mode/ship story as I put a lot of work into that and I hope people enjoy it. I’m just waiting on some art and voice acting before I go ahead and record any footage for it. I guess the game also needs a v2 trailer as the current trailer is somewhat outdated. Can’t wait to see the new content!